Norwegian Cruise Line will offer an add-on package that can be pre-purchased and includes a kitchen sink of items that cost extra on a cruise. The package, priced at $899 per passenger for a seven-day cruise, bundles Norwegian’s prepaid dining and beverage packages with a $200-per-person shore excursion credit, 250 minutes of Internet access, prepaid gratuities, 20 photos of any size, a bottle of wine, six bottles of water, one bingo session and chocolate-covered strawberries. Apart from service charges and gratuities, the package is fully commissionable to travel agents at the agent’s contracted rate, a Norwegian spokeswoman said. Norwegian’s dining package offers complimentary access to a specialty restaurant each night of the cruise; its beverage package includes cocktails, beer and wine up to $10 a glass and unlimited fountain sodas and juices. The package is for sale Aug. 4 to 29 and applies to all 2015 cruises of three to 14 days, except those on Pride of America. Pricing is by length of cruise. Shore excursion credits on shorter cruises are $100 per person instead of $200. Norwegian said adding the package to select cruises will reduce the fare by 10%. 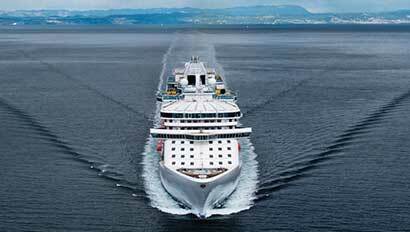 Norwegian said the package is the first of its kind in the cruise industry. Princess Cruises said it has reached an agreement to build a third in the class of ships that began with Royal Princess. The new ship, to be built by Fincantieri, will carry 3,560 passengers at double occupancy and is scheduled for delivery in 2017. Princess said the price is around 600 million euros, or just over $800 million at current exchange rates. The Royal Princess was the largest ship to date for Princess when it was delivered in 2013. It was followed by the Regal Princess earlier this year. Princess said the new ship will include its signature elements such as a soaring central atrium hub with multiple dining, entertainment and retail venues; the adults-only Sanctuary; the Movies Under the Stars cinema experience; and 80% of all cabins with balconies. The ship will also include some new innovations, Princess said. Access to deals. Travel agents often have access to specials deals and savings, and can offer their clients perks and extras in the form of onboard credit, a free transfer to the airport, a complimentary meal in an onboard specialty restaurant or pre-paid gratuities. Furthermore, a good agent can cut through the clutter of deals out there, and let you know that a Caribbean cruise in early September looks like a great deal, but that’s because it’s hurricane season. Cabin advice. Travel agents will also orient you to the dozens of cabin types some ships have. The world’s largest cruise ship, the 5,400-passenger Oasis of the Seas, has 37 cabin categories, including industry firsts, such as inside cabins with balconies. Troubleshooting. Finally, an agent will be your advocate if something goes wrong. While 99% of the time you won’t need to call your agent once the ship sets sail, unforeseen problems do occur (usually weather related). An agent often has some muscle with the cruise lines, which might be able to help get you home in a tough situation, and they will help you change your ticket if they see a snowstorm is coming. Travel agents can also become certified “experts” by the various cruise lines. For example, if you are interested in Royal Caribbean cruises, they have a list of travel agents specialized in their product here:royalcaribbean.com/customersupport/travelagentLocate.do. Other lines do the same. Look, also, for the initials CTC after an agent’s name. They stand for Certified Travel Counselor, which means the Travel Institute has certified they have at least five years of full-time industry experience and have completed certain tests and programs. Another resource is the American Society of Travel Agents (asta.org), the world’s largest travel-agent association. Check their specialties. Once you’ve identified an agent, find out what cruise lines he or she is expert in: If you are interested in an adventure trip to Antarctica, find someone who specializes in that rather than mass-market cruising to the Caribbean. Lines. Norwegian Cruise Line bills itself as a “freestyle” cruise line in terms of dining, and was the first to veer from the traditional two-set dining times. While most cruise lines now offer a variety of restaurants, NCL’s newest ship doesn’t even have a main dining room, a cruise ship staple. 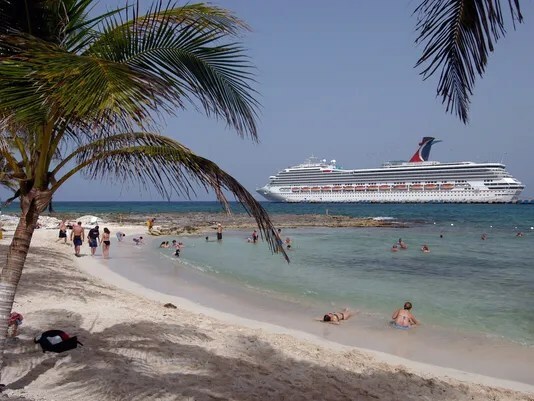 Carnival Cruise Lines has never stopped calling its vessels, “the Fun Ships,” and that is what they aim to offer guests. Many small ship lines are “all-inclusive” meaning that depending on the line, beverages like specialty coffees, soft drinks and alcohol will be included in the fare, as will some of the classes and activities you would be charged for on a larger ship. While there won’t be nearly as many places to eat as on the biggest cruise ships, the cuisine on small ships is often the finest at sea. Next, think about what ship features are important to you — is it the “wow factors” like a zipline, surfing simulators, and bowling allies? Or are you more interested in the most extensive spa or the most roaring nightlife and casino at sea? Lines become known for certain amenities, but those features are often found only on their newest ships. Norwegian’s “freestyle” dining experience, for example, isn’t as freestyle on its oldest ships, which don’t have as many choices as its newest ones do. If you love Princess Cruises’ adults-only Sanctuary area or its Movies Under the Stars jumbo pool screen, be advised these amenities are not found on all of the line’s older vessels. The newest vessels with the most newfangled amenities will always command major premiums. But if you’re willing to cruise on a vessel only a couple years older, the price will drop significantly. Inside cabins are the ship’s smallest and most basic. They can generally fit up to four people by utilizing bunk beds. The most expensive cabins are the suites. The most luxurious ones have large dining rooms and bars and several bedrooms. Located on the ship’s corners, they may have wrap-around balconies with private hot tubs. Oceania Cruises used big-name designers from Ralph Lauren Home for the top suites on its newest ship, the Marina, while the Oasis-class vessels have duplex loft suites with two-story windows looking out to sea. Also, keep in mind that on the largest ships the distance from one end to the other is quite far. Think about whether you want to be near the elevators, the fitness center, the lido-deck buffet, children’s play areas, etc. If you are particular about a certain cabin, a certain date, and a particular itinerary, you should book early. The cruise lines encourage this and usually offer early-booking incentives. Certain lines are better at giving the early buyer the best deal, while others tend to dump inventory at the last minute. Generally, what’s left the month before departure is not going to be the best cabin on the best itinerary. Further, there is more demand on the mass-market ships when school is out. And you’ll pay a premium to cruise over the holidays and during spring break. One of the best times of year for deals is during Wave Season, the period between January and March that has traditionally been the industry’s hottest selling period. The combination of winter-weary consumers and cruise lines’ desire to move inventory early — so they can raise prices later — means that this is when the cruise lines make high-value offers like free upgrades, onboard credit, and free airfare. But shop around. Even among different travel agents you will find different perks based on the volume they do with certain lines. If you aren’t picky and just want a cheap getaway, it might be worth waiting for a last-minute deal. But they can be unpredictable. Weather, oil prices, consumer confidence, world events and employment reports can all impact the price of a cruise. If you don’t care about your cabin location, you can get a good deal by taking the “guaranteed cabin” option. Rather than be assigned a specific cabin number, you will get a guaranteed cabin type — oceanview, inside, balcony — but you won’t know where it is until you board the ship. This can save you hundreds of dollars, but you may end up at the bottom, rear of the vessel.